Matthew Christopher creates wedding gowns featuring a signature red carpet glamorous style, with luxurious fabrics accented by luminous, delicate beading and embroidery. Matthew Christopher’s collections combine feminine, structured silhouettes with a fresh twist for modern brides seeking a sophisticated yet youthful wedding day look. His gowns have a devoted following and have been worn on the red carpet and in movies by Debra Messing, Carli Lloyd, Kristin Chenoweth, Kaley Cuoco, and more. 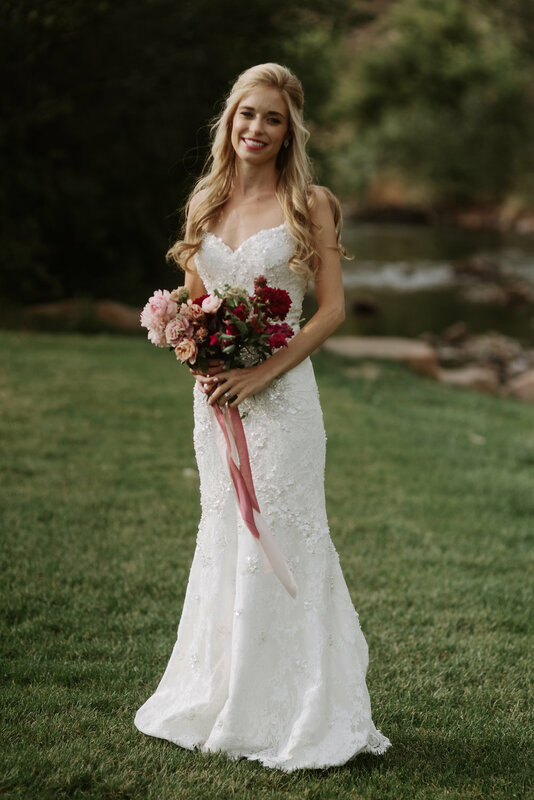 The impeccable couture bridal collection as well as Matthew Christopher's equally structured, lower priced "Matty" collection are both available in Colorado only at Little White Dress.